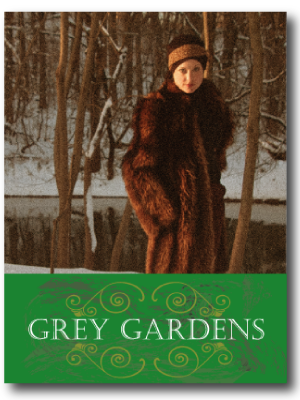 Each week I try to write a blog post about a particular attraction or event that I think Smithton guests would enjoy. I’ve been really struggling this week though… because there’s simply SO much going on. So here’s my solution, I’ll break this up into a two-parter for you all and tell you what I’d do each weekend. Seriously, the weather is fantastic right now, we’re in the middle of fall harvest, and then there are all these wonderful events to choose from… what more reason could you need to visit Lancaster county?! Friday: Music Friday in Lancaster & Third Friday Events: Sept 17: http://www.padutchcountry.com/Event/Details?EventID=1726 . While you’re there, check out (and play? )the pianos scattered around downtown called “Keys to the City”, and eat in one of the wonderful downtown restaurants… our favorite is Annie Bailey’s. Friday / Saturday: Tailgate Festival, Sept. 17 – 18: http://www.kitchenkettle.com/events/tailgate-festival.asp. It’s that football time of year, so a Tailgate Festival is definitely in order. 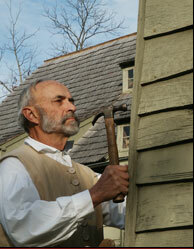 Saturday: Founder’s Day at the Ephrata Cloister: Sept. 18: http://www.padutchcountry.com/Event/Details?EventID=3673 . There will be special behind the scenes tours available, plus a special low price for admission, so there’s no better time to visit this special historic site. Sunday: Lancaster Liederkranz Oktoberfest: Sept. 19: http://www.lancasterliederkranz.com/home.html . The Germans simply know how to do festivals… great food, music, dancing… FOOD… and this one won’t disappoint! 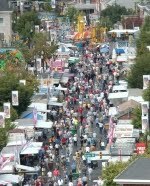 Friday: Ephrata Fair, Sept 21 – 26: http://www.ephratafair.org/ : This event is Ephrata’s time to shine! The Ephrata Fair is the largest street fair in the state, and it’s simply a blast. Come experience the rides, parades, games, food, competitions and good old-fashioned family/community fun! Saturday: Adamstown Fall Extravaganza, Sept 22 – 25: http://www.padutchcountry.com/Event/Details?EventID=435 . If you’re into Antiquing, this is the weekend for you. All the local dealers and shops pull out the stops, and with Adamstown (aka: Antique Capital U.S.A.) just 6 miles up the road, you’ll be perfectly situated for hitting the best shops & stands in the county.